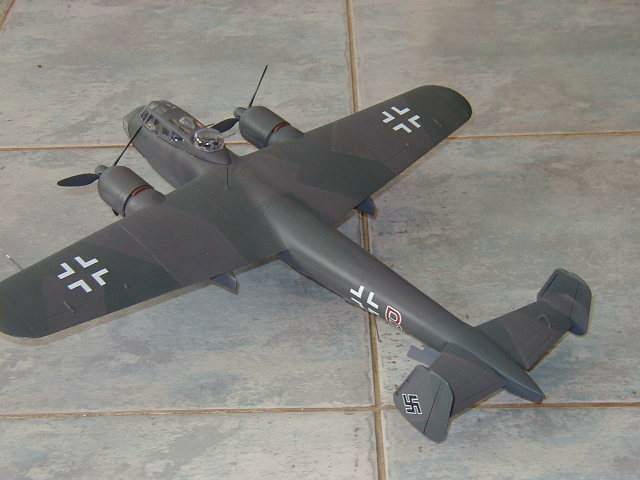 Here are pictures of my Pro-Modeler Dornier Do217E-5. 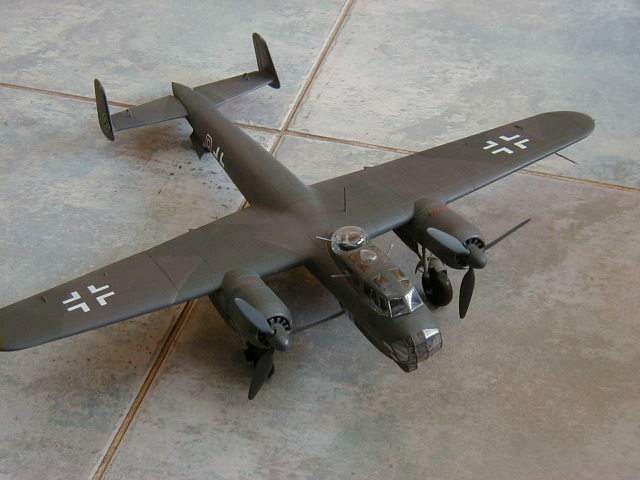 This model is a 'must have' for all Luftwaffe fans who build 1/48 scale aircraft. It went together very nicely indeed and I used no filler at all on the model. The model was completed in about 2 weeks, working only a couple of hours nightly. I painted mine slightly different than the instructions suggested. Instead of painting the under surfaces RLM65 I painted mine RLM66, just to get a different looking finish. I am very pleased with the overall effect of the 'night scheme', the RLM66 doesn't look too dark, thus making the detail stand out more. The rest of the paint scheme is as per standard (ie: RLM72 & RLM73). I used the kit decals except for the underwing crosses which came from the spares bin. 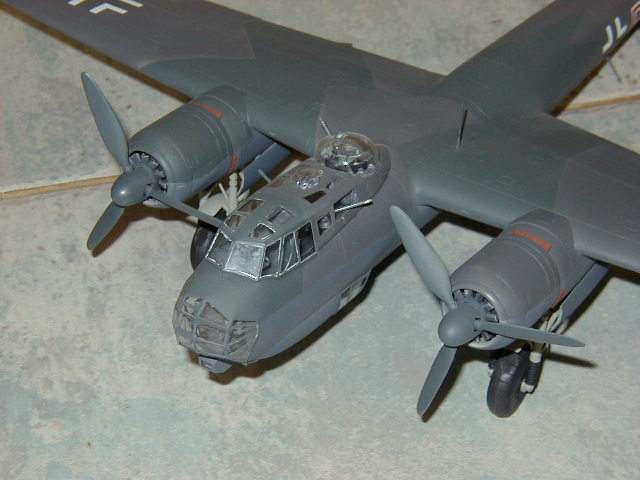 I also didn't build the model as a missile carrier, opting instead to make it a normal bomber. 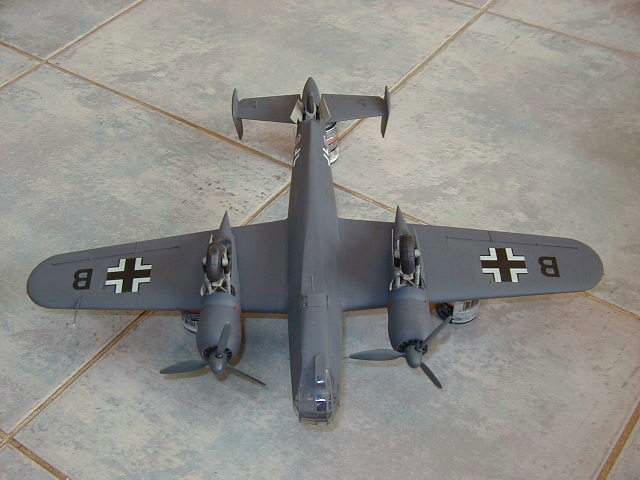 I can highly recommend this kit to all Luftwaffe fans out there, it's expensive, especially if you are paying in South Africa Rands but it is worth every cent!